We stayed in a lovely beach house on the Massachusetts coast a couple of weeks ago. It’s a place we go every summer, and we enjoy it so much. It’s something we look forward to all year long. Everyone should have something like that! I’m always amazed by the blueberries that I am able to find in Massachusetts. They’re infinitely more perfect and plump than anything I can ever find on the West coast. So I pretty much go blueberry-crazy whenever I’m in Massachusetts in the summer. 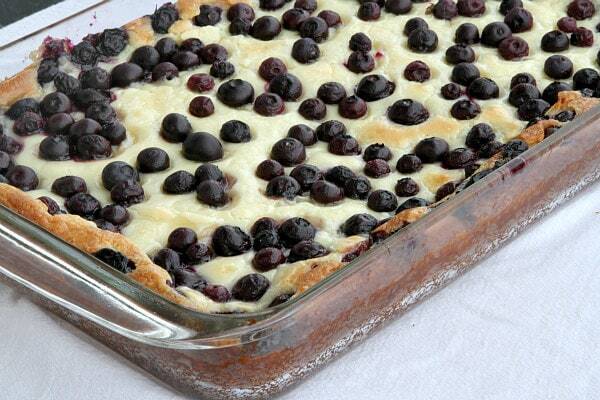 I added some of those delightful blueberries to the infamous gooey butter cake to create a Blueberry Gooey Butter Cake. It was a very good idea, I must say! Has this hot summer had you in the mood for ice cream?? I have some great ice cream recipes for you- flavors that are crave-worthy! 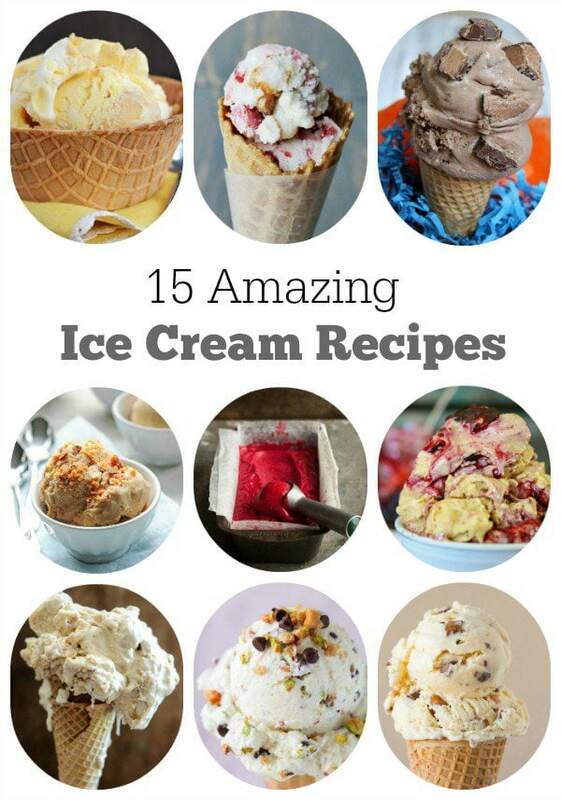 Check out 15 AMAZING ICE CREAM RECIPES TO TRY THIS SUMMER. Some of them require an ice cream maker machine, and some do not! I realize that many of you are in a place where it’s majorly hot both outside and inside your home. And all that heat surrounding you means you probably don’t feel like cooking either, right? Well, using your slow cooker is a good option then. In this recipe, you just need to saute the onions for a few minutes, then throw in a few other ingredients to blend the flavors. 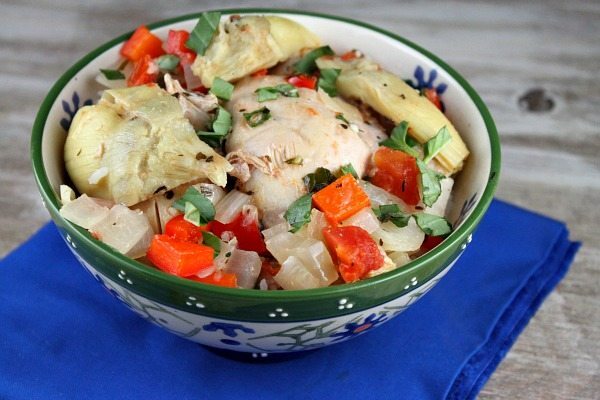 The rest of the recipe is done in the slow cooker. If you’re afraid that your slow cooker is going to heat up your house, try putting it on your porch to do its thing! I must say… it’s been a smoothie-kind-of-summer. That means hot and humid days that call for some sort of major relief in the form of ingesting cold things. Ice cream is good for that. But since ice cream isn’t all that awesome for bathing suit season, smoothies are the next best option! These smoothies are flavored with strawberries and kiwi… and I used unsweetened almond milk + nonfat Greek yogurt for a maximum healthy vibe. Take advantage of peach season with this must try- Peach Cobbler! 1. Freeze them for smoothies. Nine times out of ten the cobbler wins the coin toss. I have had this recipe bookmarked from The Family Calendar Cookbook for several months now. I knew it was something I’d want to make in the summer… when cherries are affordable and plentiful and delicious! 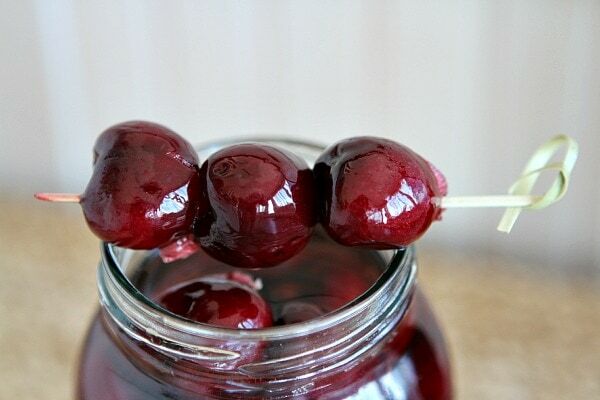 My husband enjoys making the occasional Manhattan or Old Fashioned, and he was very excited to learn of my plans to make some homemade boozy bourbon cherries!